My design wall is still covered with the purple string quilt, except now the sashings and cornerstones are on there too. I was hoping to have those last 2 sections sewn on by now but there’s only so many hours in a day and I ran out of them! LOL! I love your string sashing! What a great idea. This is going to be a stunning quilt. Thank you Ramona! This quilt went together really fast since the blocks were already made. Great way to use strings! 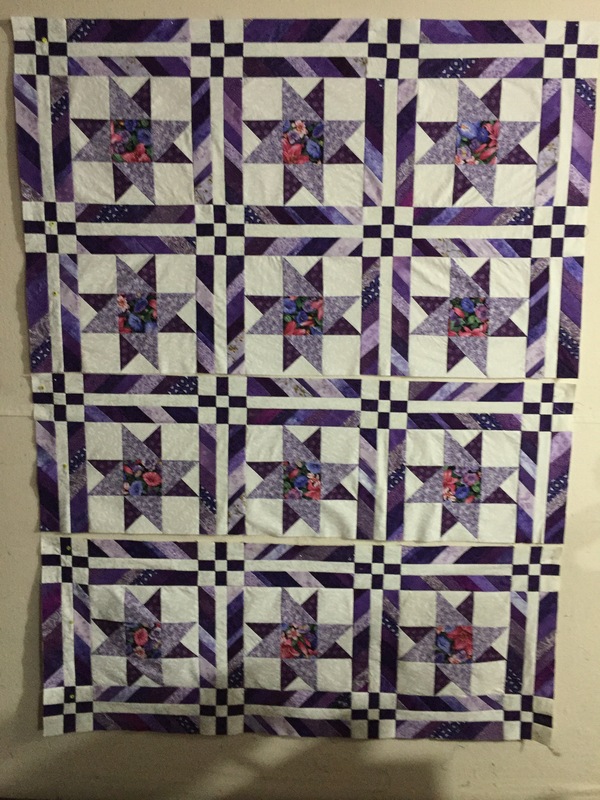 This quilt ought to make a dent in your purple stash. Wow, what a dynamic feature that sashing is! That sashing is so clever! Thanks for showing it.